With a strong belief to empower individuals with Excellence in Education, the key members of the Board of Management of HDFC Ltd., take keen interest in the functioning of the school. They bring with them the rich experience of creating institutions which stand on strong foundations of ethics and values. Their valuable outlook and guidance help bring in diversity of opinion, constant support and constructive feedback. 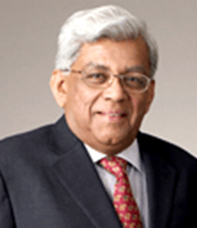 Mr. Deepak Parekh, HDFC Limited. The Chairman of HDFC Ltd., is a Fellow of the Institute of Chartered Accountants (England & Wales). Besides HDFC Group Companies, Mr. Parekh is on the board of several leading corporates across diverse sectors. He is always willing to share his ideas and expertise to formulate reform policies across sectors. It is this quality of being a master trouble-shooter that makes him a guiding force and an active member of various high powered economic groups, government appointed committees and task force across various sectors. Mr. Parekh's simple yet profound philosophy pivots around "Giving it back to the society". Mr. Keki M. Mistry, HDFC Limited. The Vice Chairman & Chief Executive Officer of HDFC Ltd., is a Fellow of the Institute of Chartered Accountants of India. 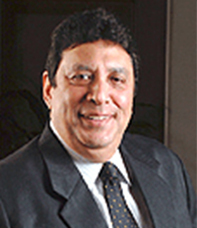 Mr. Mistry has more than four decades of experience in Banking and Financial services domain. As a part of the management team, Mr. Mistry has played a critical role in the successful transformation of HDFC into India's leading financial services conglomerate by facilitating the formation of companies like HDFC Bank Ltd. and HDFC Asset Management Company Limited. Besides being on the board of several HDFC Group companies including HDFC Bank Ltd., Mr. Mistry is also on the board of various other institutions. Ms. Renu Sud Karnad, HDFC Limited. The Managing Director of HDFC Ltd., is a graduate in Law from University of Mumbai and holds a Masters degree in Economics from the University of Delhi. She is a Parvin Fellow - Woodrow Wilson School of International Affairs, Princeton University, U.S.A. She has a panopticon view of real estate and housing finance having spent close to four decades in the industry. 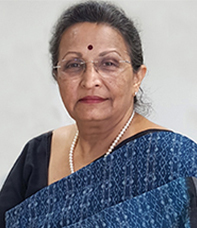 Besides being on the board of several HDFC Group companies including HDFC Bank Ltd., she is the Chairperson of HDFC Property Ventures Limited. Ms. Karnad is also on the board of several multinational companies including some eminent educational institutions.